It’s day 10 and it’s been lovely to spend a few days in the same space. 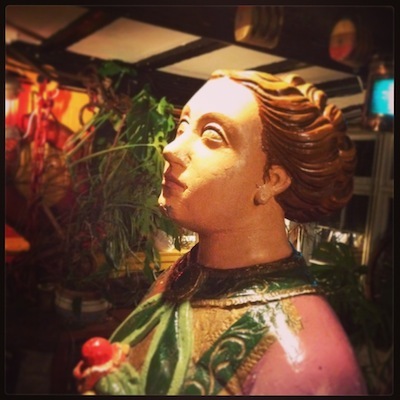 After finishing our troll slaying with seriouskitchen we headed on down south to The Penzance Folk Club. 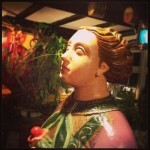 The Admiral Benbow is the most amazing pub and venue! There are lots of things that have been rescued from the grip of the sea by a diver and are dotted around all over. From there we headed up to a full house at The Bideford Folk Club and then across east tothe Baring-Gould Folk Weekend. The promised storm didn’t seem to blow so hard down here and we couldn’t see too much damage. We played conkers, but my conker didn’t last the first match, although did take rather a long time to finally be pinged off it’s string. One highlight of our time here in Okehampton was to play with the orchestra. There are movies, but they’re still on the camera, so that’s for a different blog. On Wednesday night at 10:05 German time the ENCORE concert is being broadcast on German Radio. You can listen on the internet, so here’s the link for you! You should hear my piece being performed (but I’m not 100% sure which pieces are in the broadcast). You might hear my interview, but it’ll be dubbed into German if it’s included! In the meantime here is a little video we took at Wiveliscombe Church. Jonny was given permission to fire up the organ, so we videoed Red House. It’s an on the road performance, not perfect, but we had fun playing with the organ!